In the “great commission” Jesus instructs his disciples to go and make disciples. What does that look like? How do we do that? What works best and what doesn’t work so well? 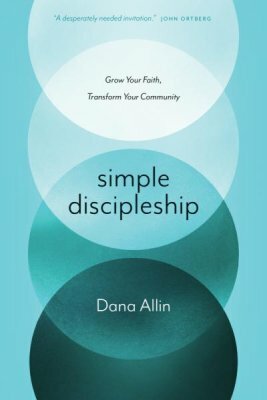 All of these questions will be answered in this comprehensive guide to discipleship by Dana Allin. Christ followers, and church leaders in particular, need to have a clear picture of what it means to be a disciple of Jesus Christ so they can develop more disciples. Discipleship is more than dispensing information. Discipleship is time and labor intensive. What were Jesus’ methods of discipleship? Jesus focused his efforts on areas where his disciples needed to grow. Discipleship is personalized and cannot be mass produced. The first step in developing a personalized plan for discipleship is to assess your current state of discipleship. This book includes a link to an online assessment tool that is a great starting point for each person to know where they need to grow in their relationship with Christ. It is based on 8 qualities and 21 characteristics. One free assessment code is printed inside the back cover of each book. Discussion questions included at the end of each chapter, make this book ready for church staff or small groups to read and study together. Now that we have the knowledge and the tools, let us go out into the world and make disciples. A copy of this book was provided by the publisher for review.